The seas around North Devon are packed with wonderful marine life and habitats. These provide a range of benefits to people, including nursery grounds for young fish provided by intertidal reefs, and coastal protection by saltmarshes. Many businesses in the North Devon area depend on a healthy marine environment, including commercial fishing and tourism/recreation businesses. This area was chosen by Defra as one of the ‘Marine Pioneers’, which means that this area is being used to trial new approaches set out in the government’s 25 year environment plan. WWF is working in partnership with a range of organisations as part of this, to develop new, ground-breaking approaches to environmental management and decision-making. The North Devon Marine Pioneer involves a range of stakeholders through the North Devon Biosphere’s Marine Working Group, which has representatives from maritime industries, conservation, tourism, watersports and voluntary organisations. Read here our report of the compass pilot in North Devon. If you're using a mobile device, we recommend turning your phone to landscape to view the interactive map below. This map is interactive. 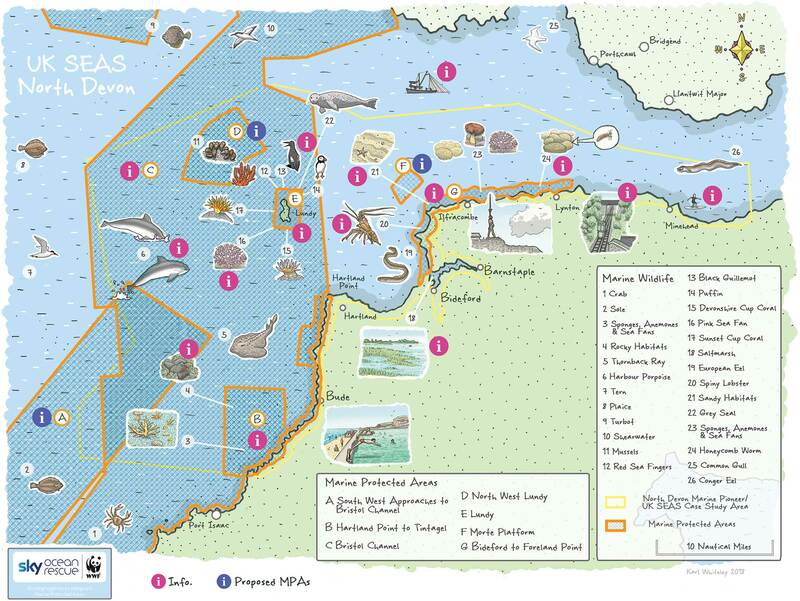 Click on the pink and blue circles for more information on MPA management, species, habitats and industry in the area. The blue information circles denote that this is a proposed MPA. When you think of reefs, your mind immediately goes to tropical paradises or the Great Barrier Reef, but UK waters also have beautiful rocky reef communities, and are home to many important species like the spiny lobster, conger eel, grey seal, pink sea fan and sunset cup coral. Find out more in the short film above. The harbour porpoise is the smallest cetacean we have in the UK and there are roughly 130,000 individuals of this shy and elusive animal in our waters. However it’s sadly thought that at least 1,200 harbour porpoises die every year in British waters through entanglement in fishing gear; and they’re also incredibly sensitive to underwater noise. The partnership between Sky Ocean Rescue and WWF is addressing these key risks by trialling innovative new technologies and approaches. 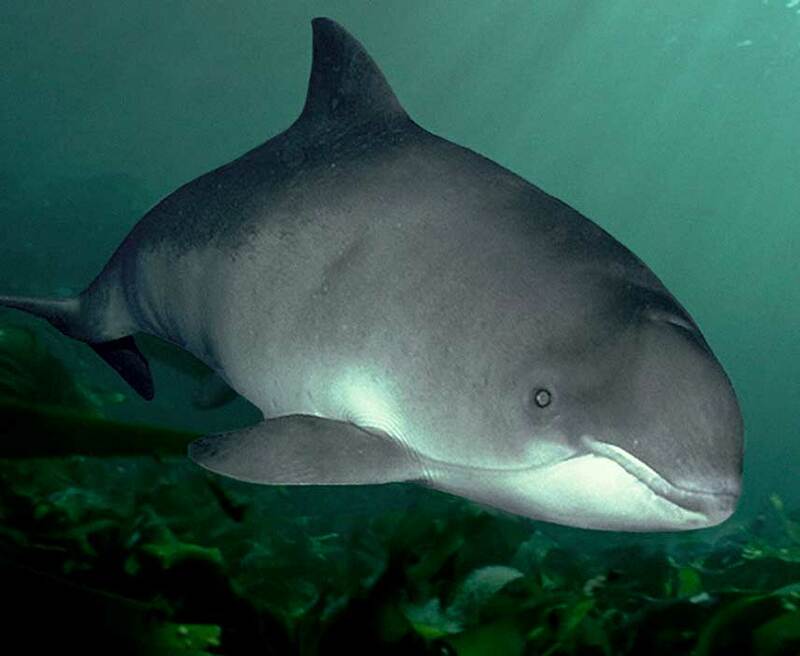 Harbour porpoises are protected in the Bristol Channel Approaches MPA. Guillemots spend their whole lives at sea except for when they breed in densely packed colonies on steep, rocky coastal cliffs. These colonies can be found dotted around the UK coastline between March and July. 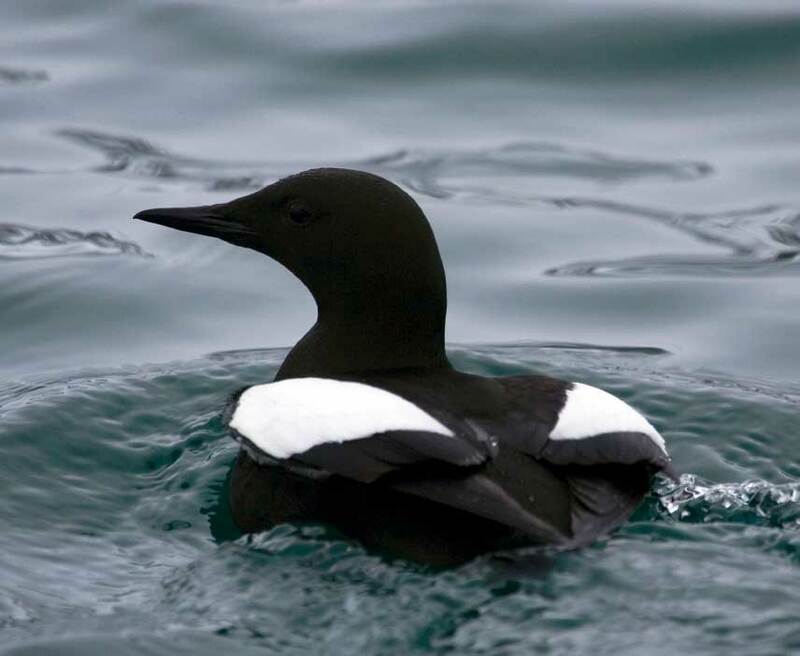 Guillemot populations could potentially be threatened by food shortages caused by over fishing. Guillemots are protected in the Bideford to Foreland Point MPA. Pink sea fans are hard colourful corals that provide homes to other species like sea slugs and anemones. They are nationally scarce and most likely to be found around the south west coast of England. They’re very vulnerable to seabed dredging, and since they grow at speeds of just one cm a year, it can take a very long time for them to recover. Pink sea fans are protected in the Bideford to Foreland Point, and Hartland Point to Tintagel MPAs. 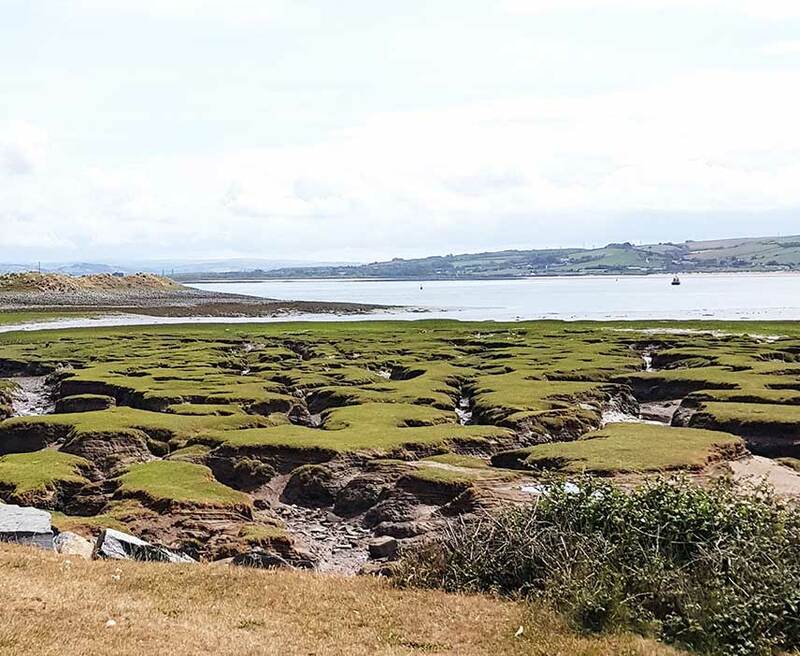 Saltmarshes are full of life and provide people and communities with a wealth of benefits, including climate regulation, coastal protection and nursery grounds for commercially important fish species. However saltmarshes are under threat from pressures like sea level rise and pollution from the land. 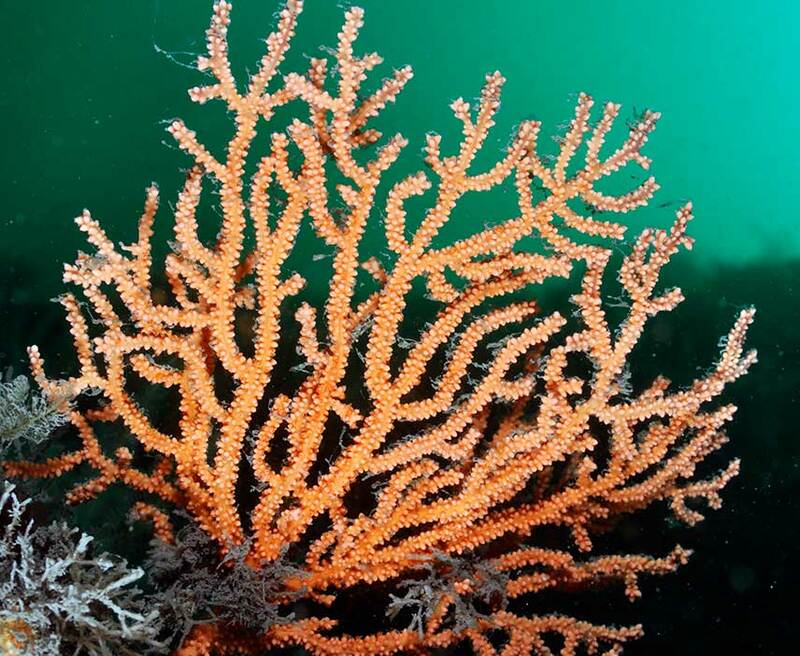 They are critically important to a healthy marine ecosystem and economy, and need to be effectively protected. Some saltmarsh area is protected in the Hartland Point to Tintagel MPA. 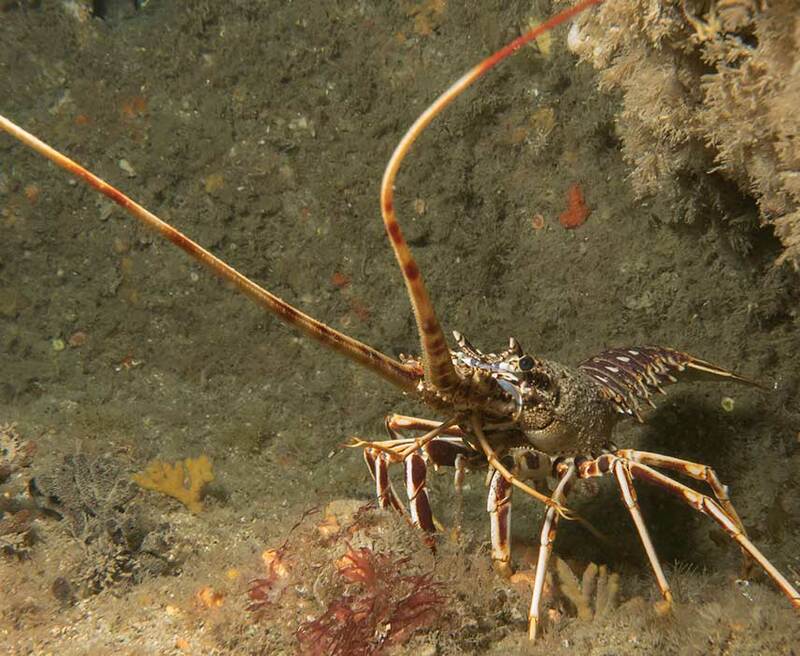 European spiny lobsters (also known as crayfish) are bright yellow or orange in colour and can grow up to 60cm long. They scavenge food from the sea bed and often live in rock crevices and small caves for protection. It might look like underwater sands and muds are devoid of life, but there’s lots going on below the surface. Subtidal sediments provide rich feeding grounds for many commercially important fish species, but some types of disturbance to the seabed (for example by fishing techniques that impact the bottom) can put these fragile ecosystems under threat. We need to ensure they are well managed. Both Bideford to Foreland Point and Hartland Point to Tintagel MPAs are in place partly to protect this type of habitat. Find out more in the short film above. Honeycomb worms use sand and shell fragments to build little tube homes en masse, forming reefs that look like honeycomb. These reefs are home to other marine wildlife like anemones, snails and crabs. 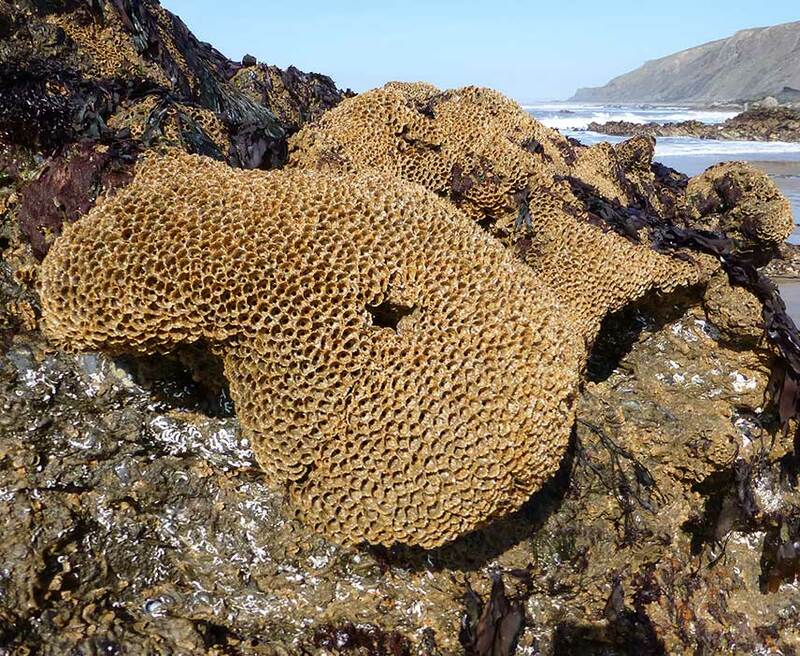 Honeycomb worms are protected in the Bideford to Foreland Point and Hartland Point to Tintagel MPAs. This fact sheet explains why the site is environmentally important, what features would be protected, and what activities could be affected by proposed management measures. This fact sheet explains the management which applies to the Hartland Point to Tintagel MPA, what features are being protected and who is involved in management. This JNCC web page explains the management which applies to the Bristol Channel MPA, what features are being protected and who is involved in management. Lundy Island is home to some of the UK’s most diverse and incredible wildlife, including species of conservation importance. It’s home to sea birds including puffins and manx shearwaters, as well as corals, lobsters, fish and seals. 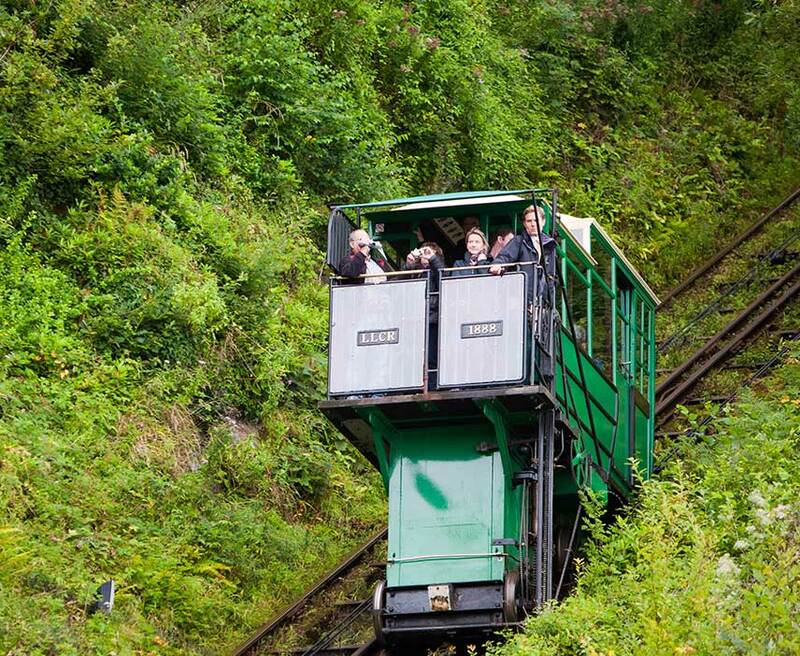 The habitats and species around Lundy provide a wealth of important benefits to people. 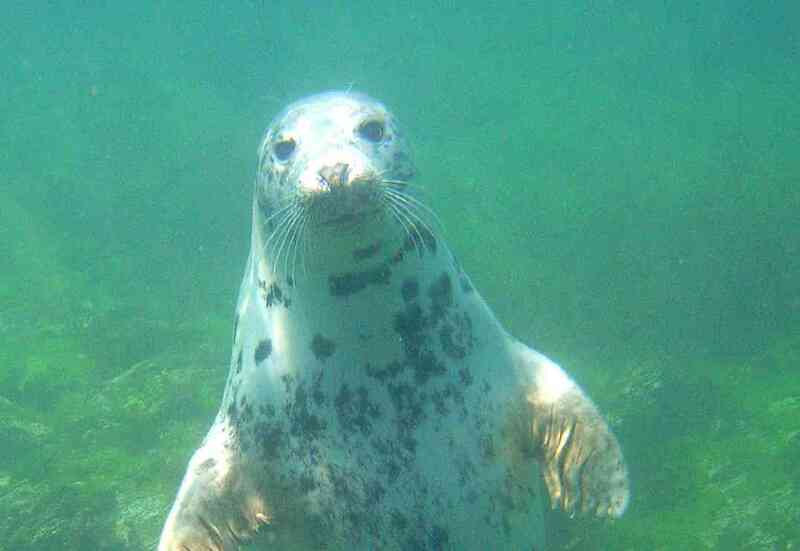 The island has been under different types of protection for the last 45 years, and in 2010 was the first Marine Conservation Zone to be set up around the UK. You can find more information about the management measures in place in the Lundy Island MPA, and what habitats and species are being protected on this Landmark Trust web page. This fact sheet explains the management which applies to the Bideford to Foreland Point MPA, what features are being protected and who is involved in management. 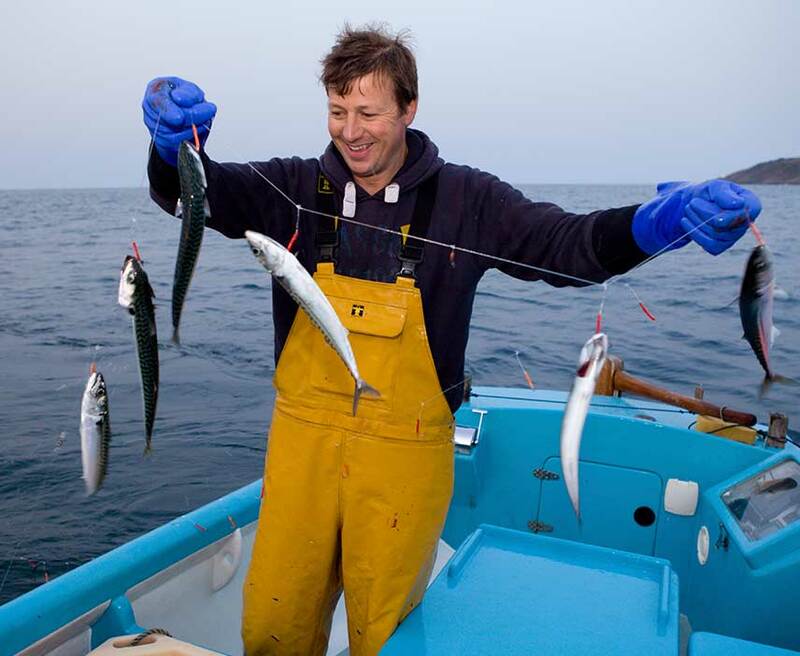 Fishing is an important industry in the North Devon area, holding a key stake in the local economy and providing income for many members of the community. In 2016, landings of fish and seafood into North Devon ports were valued at £1.5 million per year. It is vitally important that the marine environment is protected, not only for nature but for important industries like fishing that depend on healthy seas. 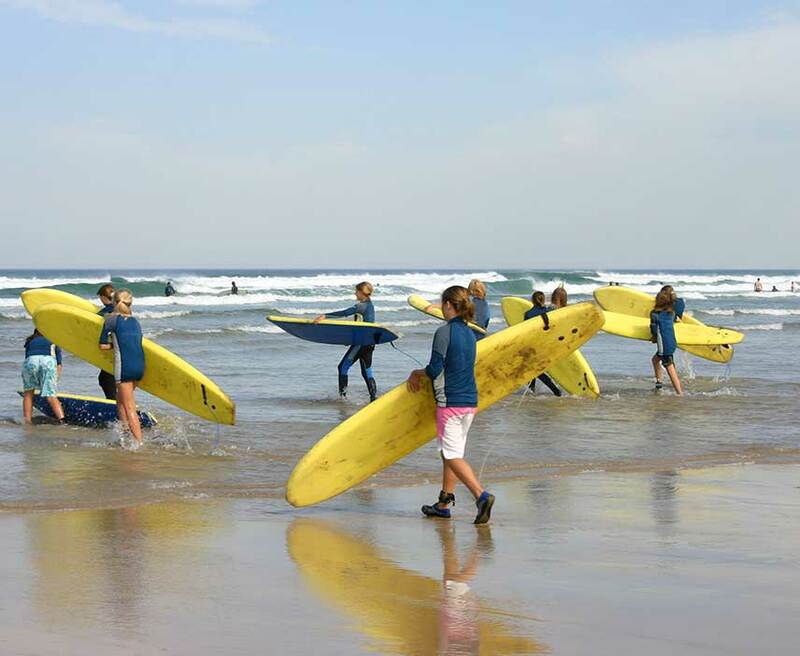 Surfing generates a surprising amount of income for the area; in 2016 the North Devon surfing economy was valued at £52.1 million per year, associated with approximately 42,000 surfers. Tourism is a vital part of the local economy, with estimates of the value of the industry ranging between £250 and 450 million a year – a healthy marine environment is key to that success.